FOOD FOR THE FESTIVE SEASON! 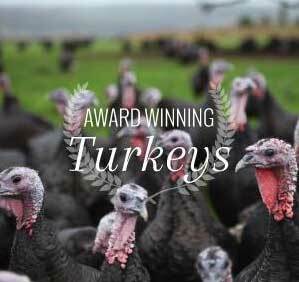 Christmas is our busiest time of the year and for the festive season, we sell free-range Bronze and barn-reared turkeys (all dry plucked, game hung and individually boxed), plus local Walderton geese, ducks and free-range chicken. Your Christmas poultry orders can be made by phone: 01243 575212, with a card deposit, or by filling in our online order form and home deliveries can be organised for orders over a £100 within a 5-mile radius. Christmas Orders are taken up until the 17 December. But, the sooner the better, especially for poultry orders. We have three simple ways of ordering with us. You can order online via our contact form, give us a call on 01243 575212 or come and visit us during opening hours.